First of all, a big thank you to all my visitors and followers for your continued support. I can't tell you how inspiring it is when I receive comments from readers who have tried my recipes and love it. 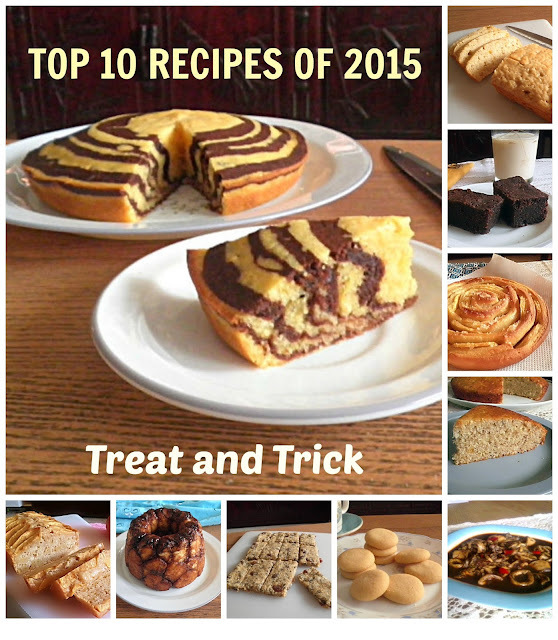 At the end of the year, it's time for the annual round up of most popular recipes on Treat and Trick As we look back at 2015, they are a lot of lessons learned and so many ways I have grown in my journey of blogging. It is so fun to see what everyone loved and I am so glad creating and photographing all of them although some photos do need an update. 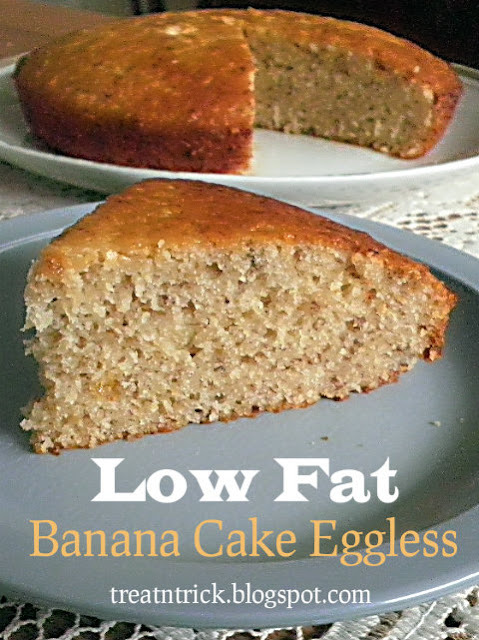 There was no surprise that my Eggless Marble Banana Cake was voted the most popular recipe for 3 consecutive years. 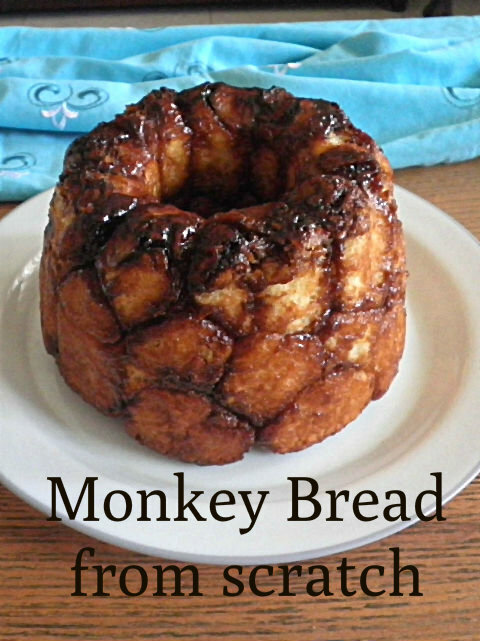 Despite being the easiest and no fuss recipe, it has attracted some of my readers to try it out. 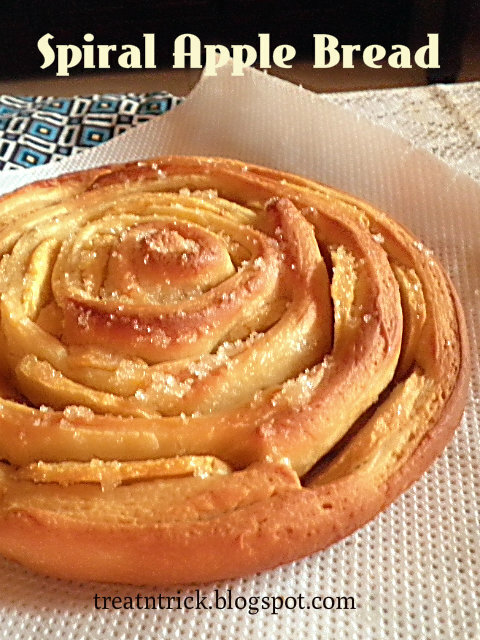 Another recipe that was most tried and get positive feedback was Spiral Apple Bread. 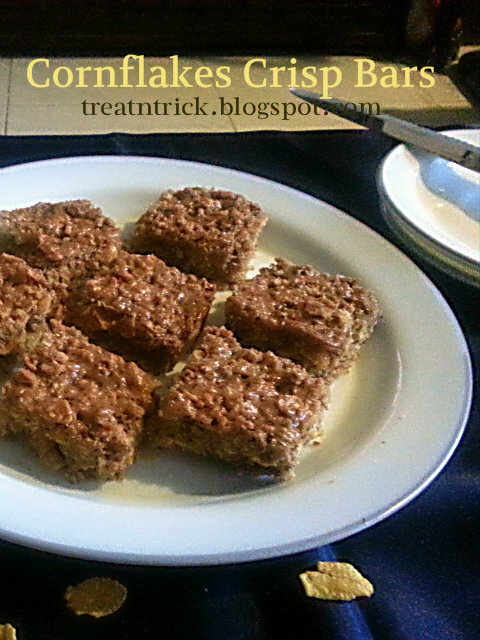 and Healthy Breakfast Bars. 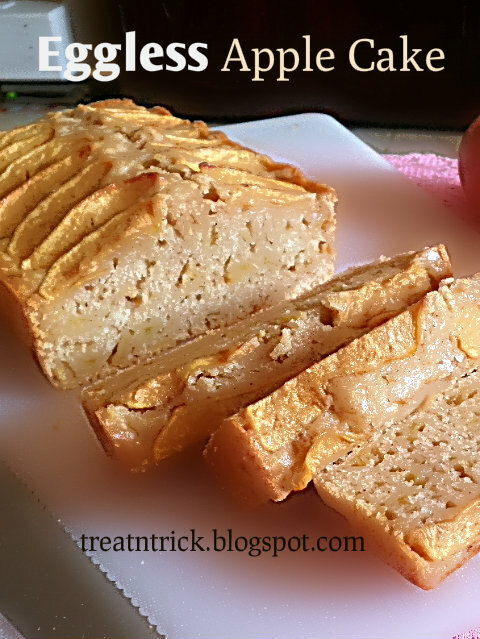 My Spiral Apple Apple has been tried and featured in few popular blogs also my Healthy Breakfast Bars get re-pinned ever since I shared the recipe in 2012. Below is the list that make up my Top 10 Most Popular Post of 2015. Click on the title of each post to view full recipe. I had a box of cornflakes that is sitting in my cupboard. Normally we had our breakfast with cornflakes or adding this cereal for making cookies or coating the batter. So I need to do something to save the cornflakes before it passes its expiry date. What I have in mind were turning them into dessert or a snack. For long long time. 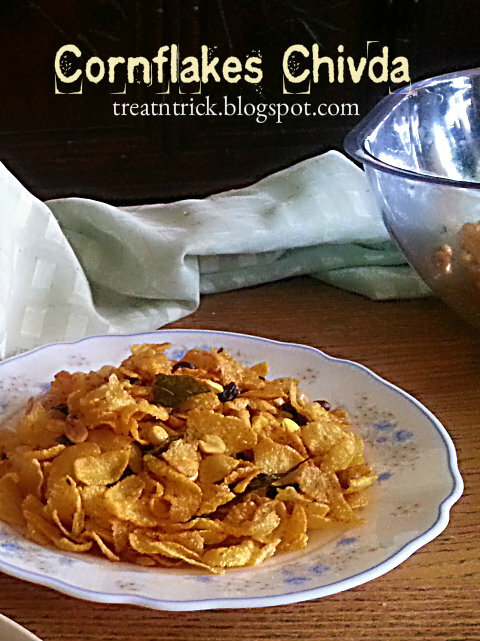 I have prepared a crunchy and savory snack so this is the perfect time to make my favorite Cornflakes Chivda that is made from roasted nuts, roasted gram, curry leaves and spices. You can vary the selection from among peanut, cashew, walnut, pistachio, pumpkin seeds or sunflower seeds. Turn this chivda into a healthier version thus cutting out the oil used. Did not fried the peanut and roasted gram in oil but dry roasted them. The only time I used oil when frying the curry leaves along with chili powder and turmeric. Adjust the chili used according to your heat tolerance and add sugar if you like but love without it. 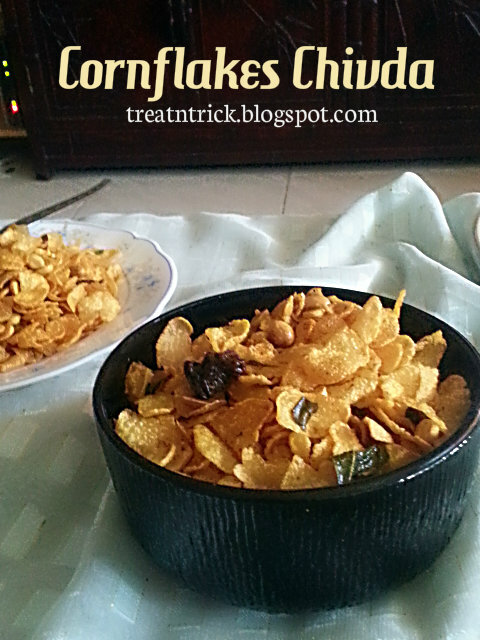 Cornflakes Chivda to be enjoyed any time and would last for good 1 week if kept in airtight container. Am always attracted to rocky road desserts for their luscious topping of crunchy nuts, chunks of biscuits and fluffy marshmallow coated in melted chocolate. 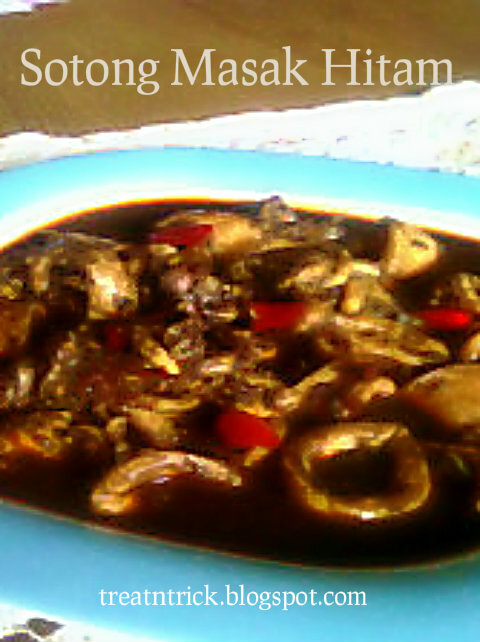 , The topping varies from country to country, you could learn more about this through Google. This week, I try to include "rocky road" elements in my cake by adding chocolate chips, almonds and crushed biscuit in the batter. What I love about this recipe was super easy to make, no creaming of butter or beating of egg required. You need only one bowl to incorporate all the ingredients except the almond slices. It uses as a garnish. Most importantly, it was lighter when compared with other rocky road cake. 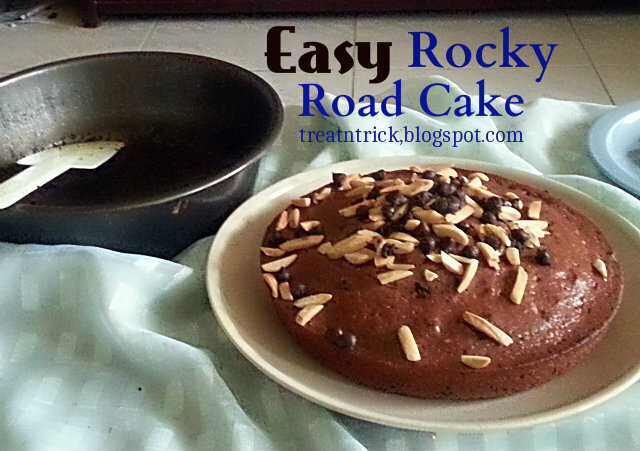 Easy Rocky Road Cake uses oil instead of butter Added peanut oil but other vegetable oil works too. 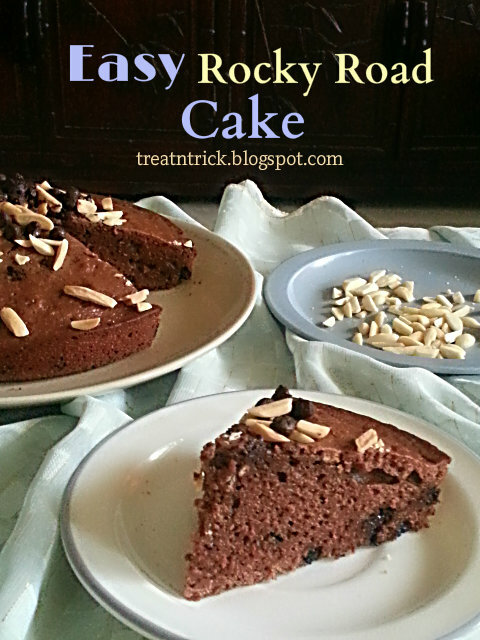 Easy Rocky Road Cake is great fun to make with all the family and the best part is you can personalize your cake by mix and matching the ingredients with your favorite sweets and biscuits. Made as a surprise for our guest and it was a total hit! Everyone loved it so much and going to try this again with different variations soon. It is always fun to bake each and every week. While scratching my head as what to make this week, I stumbled upon a box of cornflakes that was sitting in my cupboard. 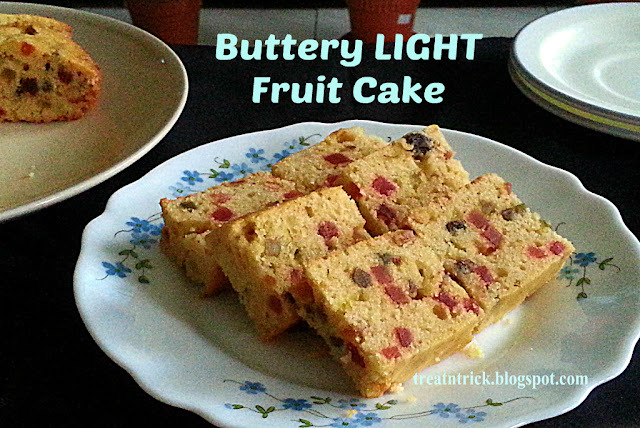 It is super easy to bake and most of the ingredients are mostly available in your kitchen. For smooth cutting, you can blend the cornflakes but not too fine, Just crushed mine with rolling pin and you'll find some still in a bigger piece. This is what give these bars a crunch when you bite into it. For final touch, you could dress them up however you like by adding chocolate chips or even mini M & M but this is optional. Added a bit of grated chocolate since that is the only one I have. 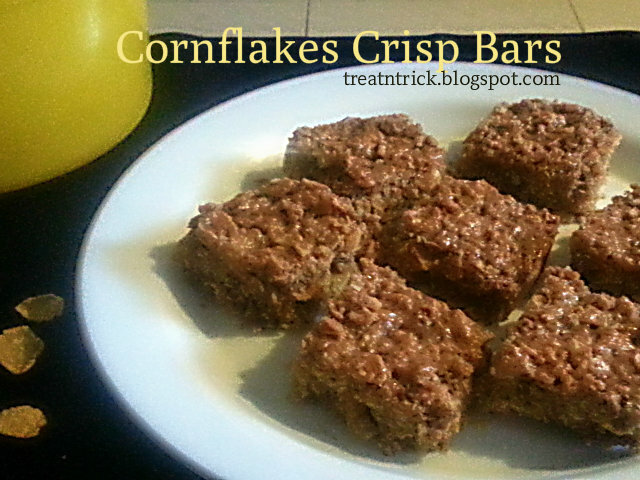 These Cornflakes Crisp Bars are truly delicious, a satisfying crunch with simple ingredients make these a wonderful snack.